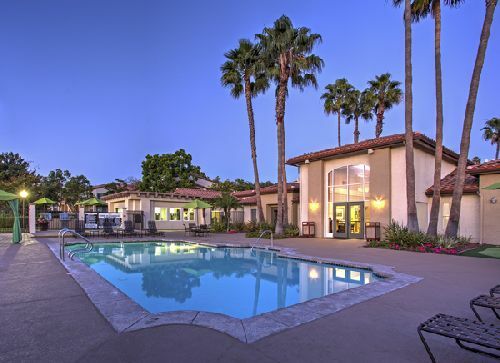 TA Realty has purchased Seacrest Apartment Homes, an upscale, 368-unit multifamily community in San Clemente, in one of the largest multifamily sales in Orange County so far in 2018. The property was sold by Western National Group, on behalf of Western National Realty Fund II, L.P.
Seacrest Apartment Homes, located at 240 Avenida Vista Montana in South Orange County, consists of one- and two-bedroom floor plans. The property features ocean views, resort-style swimming pools and spas, a resident clubhouse with kitchen, BBQ and picnic areas, a business center, laundry facilities, and an open-air fitness center. Built in 1988, Seacrest is one of only four properties with more than 100 units in San Clemente. It sits within five miles of several beaches, golf courses, and coastal trails, and is located within favorable demographics which include 83% of the population having a college education, a median household income of $101,018, and a median home value of $930,000. Stewart Weston, Dean Zander and John Montakab of CBRE represented the seller in the transaction. The buyer was self-represented. Rent growth across Orange County has continued due to the shortage of available inventory, high home prices, and the influx of Millennials into the renter pool, according to CBRE research. Orange County’s population is set to grow from 3.2 million today to 3.5 million by 2040, which is likely to continue to drive demand for apartments.